Parsons has spent four years on Dillon’s town council (two as mayor pro tem) – he was introduced to community issues while serving two years on the Planning and Zoning Commission. He’s been a Dillon property owner since 1977, and he’s lived full time in Dillon since 2003. Parsons retired from Kaiser Permanente in 2001- he began working for the health care company as a surgeon in 1973. Since then, he’s dedicated much of his time to health policy and public health issues, as well as numerous boards and projects. In his free time, Parsons skis (downhill and Nordic), snowshoes, hikes, bikes, and swims daily. His daughter, Amy Wineland, works as a public health nurse in Summit County. He has two other children – both lawyers. One lives in Loveland and the other in Southern California. Parsons said his desire to be Dillon’s mayor stems from his love for the town, and his desire to develop its potential. Though he said Dillon’s lost some of its identity, revitalizing it can be done in many ways, including an “aggressive redevelopment of the downtown,” improvements to the marina, building senior housing and other residential amenities, creating a Dillon performing arts center, and more simply – bringing back the town’s 4th of July parade. Parsons said maintaining a fiscally-conservative approach to town management is also important to Dillon’s health, adding that the town must continue to look at ways to expand its residential and tax base. Dillon can be improved through public/private partnerships, Parsons said – he’d like to see Dillon become a pedestrian-friendly area with public art, galleries, studios and commercial activity, without destroying the charm of the small town. The mayor must be a town spokesperson and have frequent communication with both Dillon residents and people in neighboring communities, Parsons said. “The mayor is a leader of town council and should solicit good ideas from other members, demonstrate vision and shouldn’t just simply be a person who runs meetings,” he said. Parsons serves on numerous boards, including the hospital board for St. Anthony Summit Medical Center and Our Future Summit. After becoming a full-time Summit County resident, Parsons also worked on a smoke-free policy in Summit County that was initiated in 2004. Several years later, the same policy passed in the state. 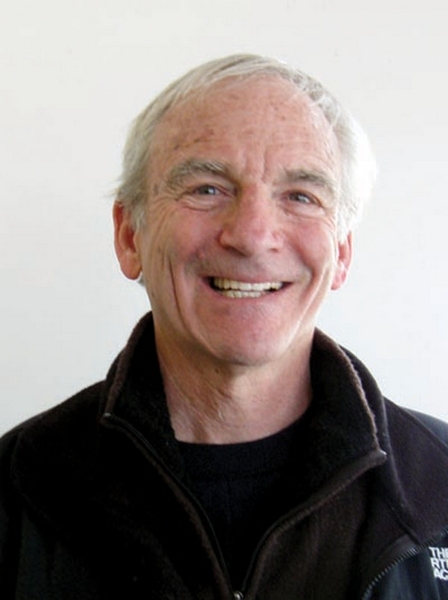 Parsons has been involved with the Colorado Public Health Association in many positions, and he contributes time to the Summit Prevention Alliance, nutrition awareness and even a drug-free group. Other groups Parsons is involved with includes the Lake Dillon Foundation for the Performing Arts board, Global Summit, the local Rotary chapter – he’s in charge of the 9Health Fair, and the National Patient Safety Foundation. Parsons said Dillon has three potential commercial areas that could be developed further. The core area needs “fairly modest commercial development,” meaning it’s an area ideal for galleries, studios small restaurants and coffee shops. The Dillon Ridge Market Place and Anemone Trail areas also have room for commercial development.